Our program values communication between residents, faculty, and staff to create a collaborative culture that enhances learning and patient care. People in our program know they are part of a team that is working together to provide the best care for our patients and education for our residents. Our supportive environment fosters curiosity and encourages growth for both residents and faculty. 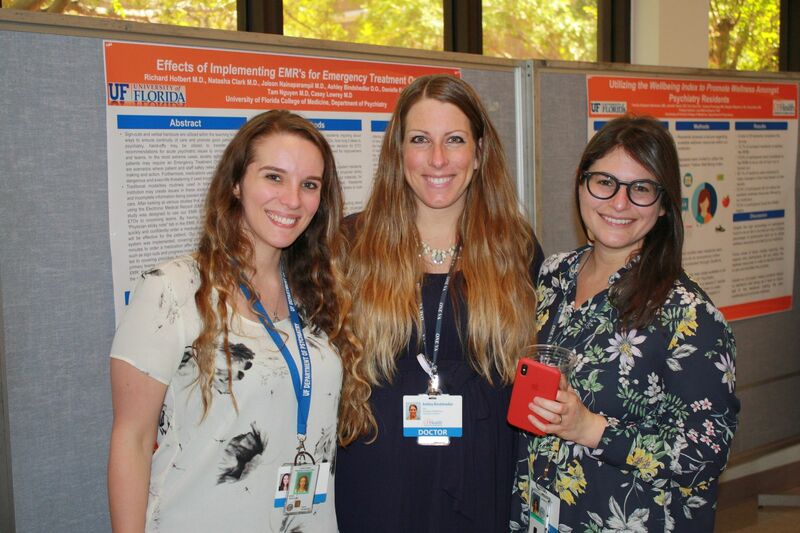 The UF psychiatry program provides services to people from a wide geographical area, which provides diversity and unique pathology for learning. We also value the variety of settings in which we provide services, including the VA and our independent psychiatric hospital. We are also dedicated to the development of strong psychotherapy skills for our psychiatry residents and dedicate significant time in training to hone these skills.